Brain cancer. Coloured magnetic resonance imaging (MRI) scan of an axial section through the head of a 3-year-old girl with a glioma (yellow). This is a tumour of the glia, the connective cells that make up about 40% of the brain's volume, and is the most common type of tumour originating in the brain. Low-malignancy gliomas press against healthy brain tissue as they grow, causing loss of brain function, including sensory disturbances, speech problems and muscle weakness. 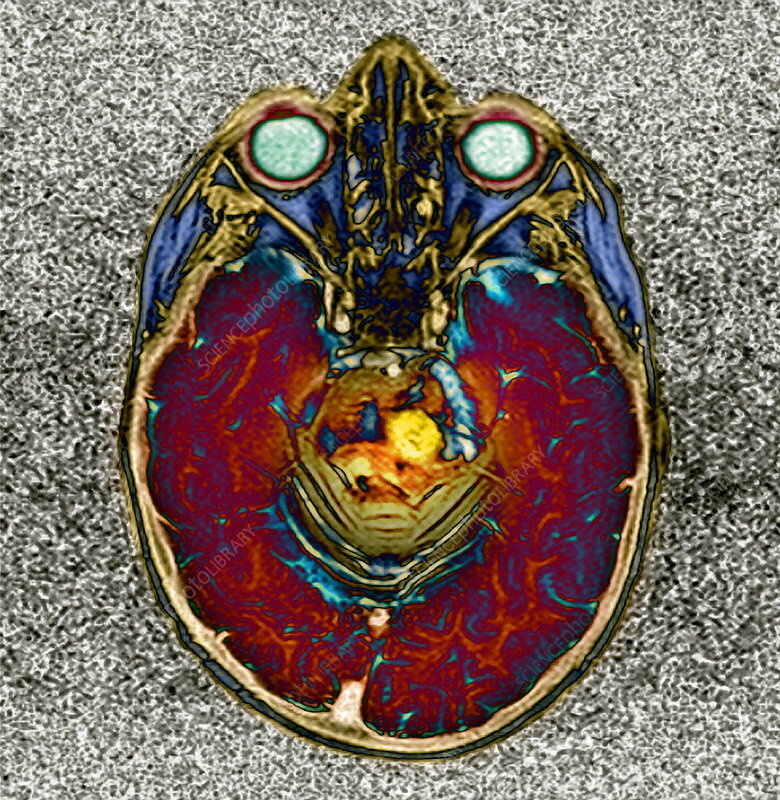 Highly- malignant gliomas invade and destroy new areas of brain. Treament usually involves surgery and radiotherapy.